One of the best players in Turkish Airlines Euroleague history is set to keep making history in the competition, as Olympiacos Piraeus announced a new deal with superstar Vassilis Spanoulis, who will keep wearing the club's red jersey until the end of the 2017-18 season. 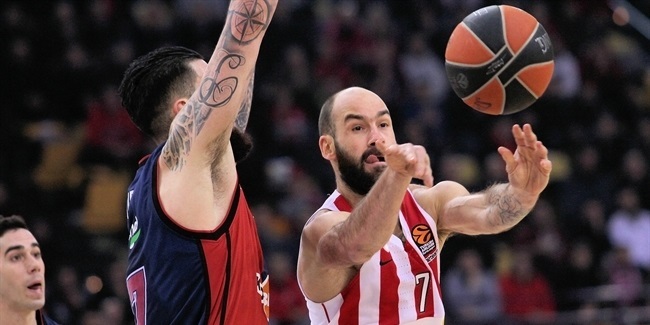 Spanoulis (1.93 meters, 33 years old) has played for Olympiacos since 2010 and led the Reds to back-to-back Euroleague titles in 2013 and 2014, earning consecutive Final Four MVP honors. He has also helped the Reds win three Greek League titles and reached another Euroleague final in 2015, losing against Real Madrid. Spanoulis started his career with Larissa and also played for Maroussi Athens, Panathinaikos Athens and Houston of the NBA before joining Olympiacos. He won his first Euroleague title with Panathinaikos in 2009, also earning Final Four MVP honors, as well as lifting four Greek League trophies. 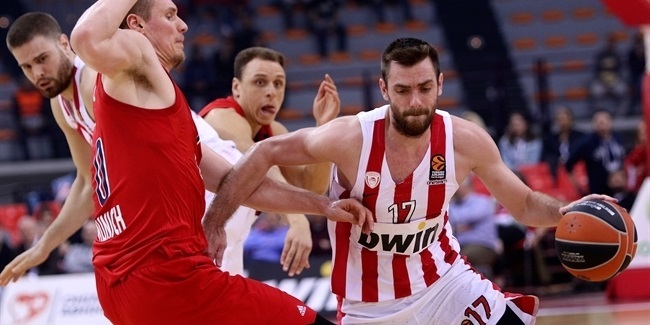 Spanoulis has also won four Greek Cup titles - three with Panathinaikos and one with Olympiacos. He has been chosen to the All-Euroleague first team three times, made it to the All-Euroleague second team four other times and was the Euroleague MVP in the 2012-13 season. He helped Greece win the gold medal at EuroBasket 2005 and a silver medal at the 2006 FIBA World Championship. Spanoulis also led Greece to a bronze medal at EuroBasket 2009. He is the second top scorer in Euroleague history with 2,984 points, only trailing Euroleague legend Juan Carlos Navarro (3,909). Spanoulis is also 6th in performance index rating (2,906), 3rd in assists (951), 2nd in fouls drawn (1,093), 9th in three-pointers made (316) and 1st in free throws made (814). 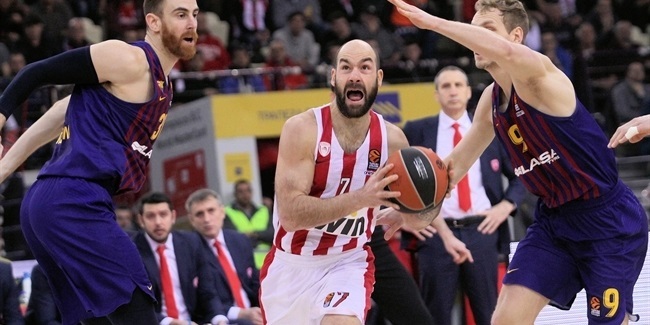 A clutch player second to none, Spanoulis will keep writing new pages in Euroleague history.